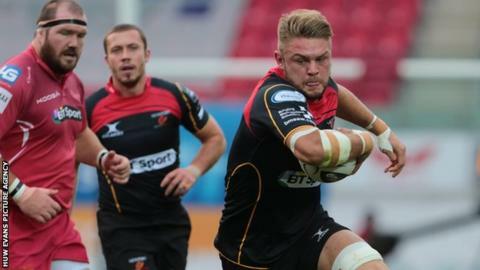 Newport Gwent Dragons flanker Lewis Evans will miss the rest of the season after undergoing an operation on his wrist. The Gwent-based region say Evans, 27, underwent surgery on Wednesday, 10 February, in a bid to solve an "ongoing issue with his wrist". Centre Ross Wardle (shoulder) meanwhile is "progressing well" following surgery three weeks ago. Dragons are away to Leinster in the Pro12 on Sunday, 15 February. The Welsh side are 24 points behind their Irish opponents, who are fourth.